20 May 2012. Montpellier HSC, a goal down in a must-not-lose game, attempt to overcome a toxic Auxerre crowd to deliver the Ligue 1 title for the first time in their history. Already relegated Auxerre fans brought the fixture to boiling point, and when Montpellier’s John Utaka equalised for the away side, the situation only worsened in the stands. The second half was met with three lengthy stoppages, each filled with a downpour of projectiles at the Abbé-Deschamps stadium. Flares were let off and eggs were hurled at the pitch below. By the time the game had finished, the fixture had run 41 minutes past its intended end time. 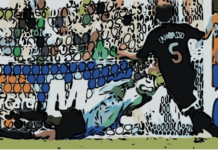 However, for Montpellier players and fans, a glance at the scoreboard was all that mattered; the 1-2 scoreline was enough to win the title and confirm the impossible. John Utaka’s brace brought the title home and broke the hearts of the Paris Saint-Germain players that had been watching on from the changing room after their victory over Lorient. “This was the longest night of my life,” said relieved Montpellier coach Rene Girard amid manic celebrations. Montpellier had avoided defeat just 6 times in their previous 19 visits to Auxerre before that final day of the season. The odds had been against them, but this had been consistent throughout the entirety of the season. Montpellier were 80-1 to be crowned champions that year, but while every media outlet in France was signing off on PSG’s first Ligue 1 title since 1992, Montpellier went about their business quietly. The backbone of the title run lay in the number of 1-0 wins Montpellier had accumulated – 11 in total and the most in Europe’s top 5 leagues. They were quietly confident as the season began to wind down, yet the fact that they couldn’t keep PSG further than 3 points behind them meant that the Parisians closed out much of the campaign within striking distance. However, PSG were unable to deliver the knockout blow as many expected they would. The 2011/12 season saw PSG’s new Qatari owners begin to assert a newfound financial dominance that we associate so clearly with them today. Javier Pastore was signed from Palermo for £37 million – a French transfer record at the time. Little did PSG know, but their title challengers for the upcoming season resided on the South Coast; not their rivals Marseille, but instead Montpellier. Despite equalling the largest haul of goals in the club’s history in Ligue 1 (75), PSG still came up short, even with seven goals more than Montpellier. Eclipsing normality and in only their third season back in the top flight, Montpellier won their first Ligue 1 title with an annual transfer budget of £29 million, £8 million less than the Pastore fee alone. Olivier Giroud, signed for just £1.7 million the previous summer, would score 21 league goals, with the most memorable being an overhead kick against none other than PSG. He would prove to be unplayable that season, just as clinical with the ball at his feet as he was in the air; just as good at holding the ball up as he was at finding space and getting a shot off. The perfect striker for a title challenge that demanded stylistic pragmatism as much as it did natural quality. Despite tying for most goals scored with PSG’s Nene, Giroud would be the official top scorer based on goals scored in open play. Younes Belhanda won the Ligue 1 Young Player of the Year award, tallying 12 goals whilst playing in the creative midfield role behind Giroud. The French-born Moroccan would never quite live up to that remarkable season, moving to Dynamo Kiev before being loaned to Schalke and Nice. The only remaining member of Montpellier’s first team of 2011/12 is central defender Hilton, who at the ripe age of 40 remains captain of La Paillade. Across the English Channel, comparisons can be drawn with Leicester City’s 2016 English Premier League triumph. Both Montpellier and Leicester were recently promoted teams with tightened transfer funds and even slighter chances of success. Manchester City played the part of PSG as both were title favourites in a void season for expected challengers. However, Leicester raced in front early and held on until the end with relative ease. Montpellier’s route to victory was not quite as comfortable, but just as impressive. Whether or not this was nothing more than Mourinho-esque mind games is hard to decipher, but his team would last the distance and shock French football. Nicollin’s reign had come full circle. After taking control in 1974, he adopted a policy of strong investment as the club longed for success – an ironic resemblance of post-2011 PSG. 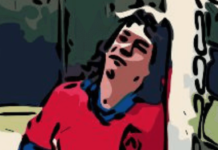 The likes of Eric Cantona and Carlos Valderrama passed through the doors at Montpellier, but they failed to bring the title to the south coast. The model became unsustainable and relegation ensued. Nicollin slashed the club’s expenditure, instead investing in the youth and infrastructure at the club. Although the years succeeding 2012 suggest that the title-winning season was an anomaly rather than an antidote to PSG power, winning the title was a particularly sweet moment for Nicollin, who sported an orange and blue mohawk during the extravagant celebrations that followed. Normality would resume the following season. PSG brought in a star-studded entourage of Thiago Silva, Zlatan Ibrahimovic, Ezequiel Lavezzi and Lucas Moura that blew any lingering competition out of the water. In contrast, Montpellier would lose their nucleus of success with the likes of Belhanda and Giroud departing for bigger clubs within two seasons. What was left of the 2011/12 side retreated to Ligue 1’s mid-table of mediocrity and they have stayed there ever since. 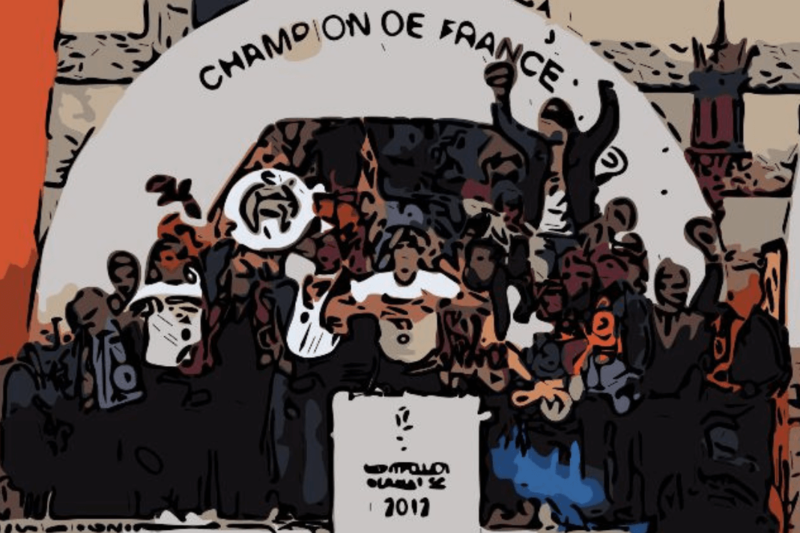 French football’s top tier has been bereft of a competitive title challenge for a number of years now with the L’Hexagoal trophy well wrapped in the hands of the victors prior to the season’s end. Paris Saint Germain have been the recipients of the trophy five times in the last six seasons, heavily armoured with a barrage of cash flow. Nevertheless, Montpellier’s story showcases just how much a club can achieve when everything comes together. With the right mentality, recruitment process, youth development and will to overachieve, any side can break from the shadows to topple today’s big spenders. 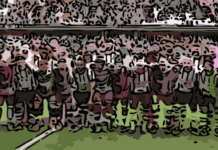 Montpellier HSC – one of modern football’s greatest giant-killers. Previous articleA Grand Old Team To… Fear!